"Annie" and cast arrived in Providence at the Providence Performing Arts Center this week as part of the national Broadway tour. 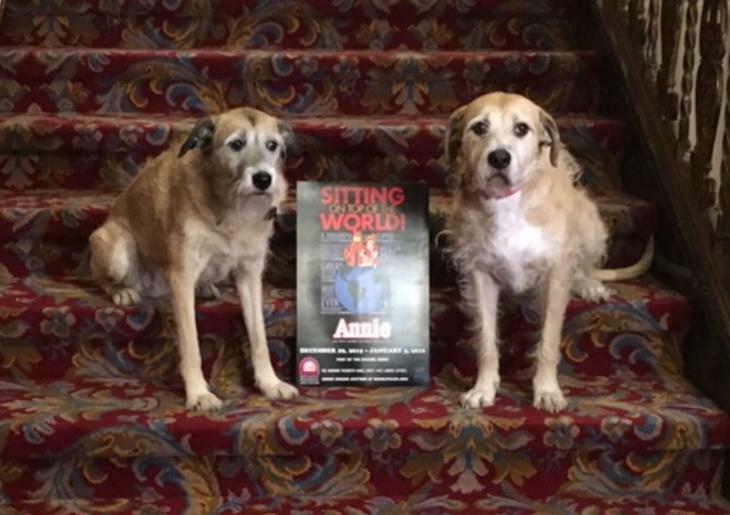 There are two very important members of the cast, Sunny and Macy, who together play the infamous role of Annie&apos;s beloved pup "Sandy." 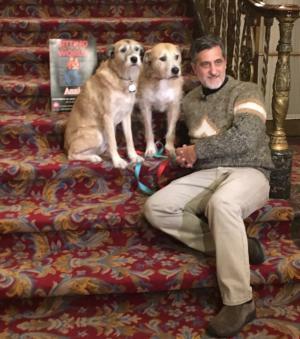 Longtime animal trainer and 2011 Tony Awards honoree Bill Berloni is in town to make sure Sunny and Macy perform at their best. Bill Berloni has quite an interesting story, and shares the life and background behind the two mixed terriers playing Sandy here in the city. Mr. Berloni started as an apprentice in the original "Annie" production back in 1976 at the Goodspeed Opera House. Upon hearing the need for an animal trainer for Sandy, he jumped at the opportunity combining both his passion for the theater and animals. A year later the production moved to New York City and has been touring nationally ever since. Today, after 30 years of training animals for theater and film, Mr. Berloni has rescued and worked with more than 240 animals. He currently resides on a farm in Connecticut with 30 animals performing in productions all over the country including "Legally Blonde" and "A Christmas Story." Sunny and Macy have quite the life. After arriving in Providence, they were welcomed at their hotel to a large suite, as they need room to play and stretch. They seem to love Providence, as they enjoy walks in the city, along with playtime in the park. When they arrive at the theater, they are brought into their own dressing room. Of course it needs to be quiet so they can rest up before their big performances. Sunny and Macy travel together as would any actor and their understudy ... even our furry friends can have an off day. Once on stage, they are trained to directly work with the actor or actress in the scene, and are of course rewarded with treats backstage for an excellent performance. "Annie" is playing at the Providence Performing Arts Center now through Sunday, January 3. For tonight&apos;s performance, Dec. 31, when purchasing a ticket, you will receive a 2nd ticket free for anyone under 18. Visit www.ppac.org to get your tickets to one of the world&apos;s most beloved musicals.